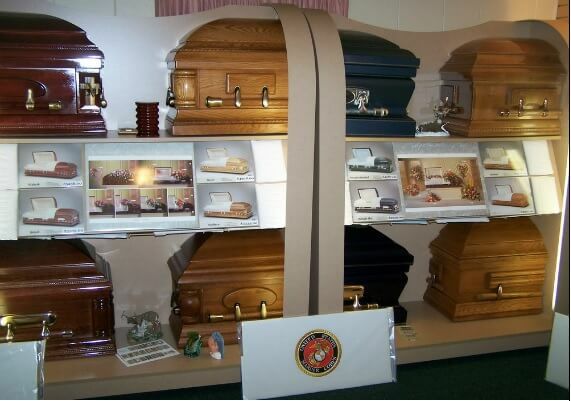 Most families select caskets for their beauty and finish. But there are a lot of little things about high-quality caskets that most people never notice--and that frankly aren't meant to stand out. Details in design, construction, and finish are meant to enhance the display of the casket in an attractive and dignified manner and to keep the tasks involved in handling, closing, and transporting to a smooth minimum. These are details that all good caskets share. There are many different types of metal caskets, and each type has its unique features and advantages. Bronze, copper, and stainless steel are considered semi-precious metals. Steel caskets are categorized based on the thickness of the material used (e.g., 16-gauge steel, 18-gauge steel, and 20-gauge steel).